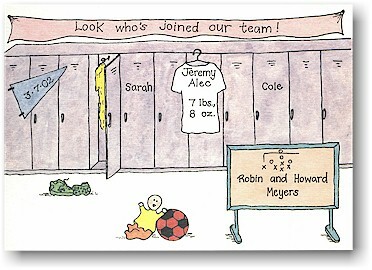 White card depicting baby in the locker room. Siblings names can be added to the locker doors (as shown here). Banner is pre-printed with "Look who's joined our team!" White flat card with various sports items.